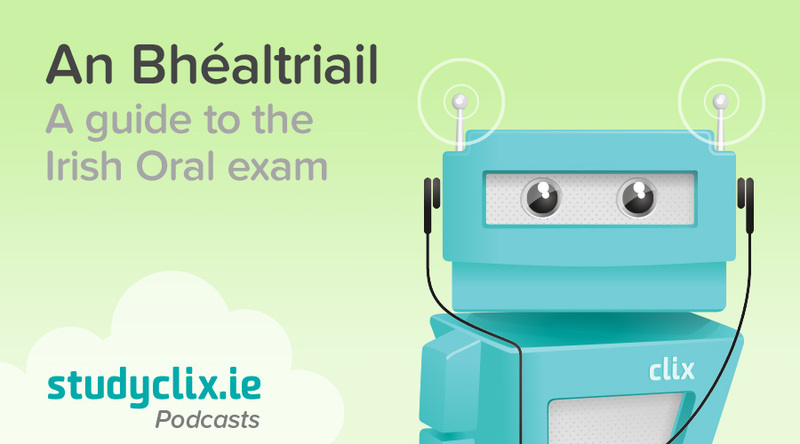 If you're preparing for the Irish oral exam at the moment, tune into this week's episode of the Studyclix podcast. In this episode, Eimear and Nessa share their thoughts and tips on one of the most dreaded aspects of the Leaving Cert. Worth a staggering 40% of the overall mark, it's understandable why Leaving Cert students find the Irish oral exam extremely daunting. Whether you feel that Irish is your strongest subject or your weakest, Eimear and Nessa have advice for anyone going into the exam feeling confident and prepared. Don't forget to subscribe to the Studyclix podcast for new Leaving Cert advice content every 2 weeks and be sure to leave us a kind review on iTunes. If there's any topics you'd like us to discuss on the podcast, please let us know! You can follow Studyclix on Facebook, Twitter, Instagram or Snapchat and share your ideas with us there.